There are many openings and closings of angling seasons these days as fisheries biologists micro-manage our lakes, rivers and streams and try to allocate and sustain an ever-diminishing resource base. So the travelling angler who wants to stay out of trouble with the fish cops is best advised to keep a copy of the provincial regs in his or her truck. And consult them on a regular basis. When it comes to angling laws, complicated is now the name of the game. Still for the spiritual, ethereal and traditional angler, April 1 is generally regarded as the beginning of the new fishing season. A time of renewal, anticipation and rejuvenation when the warm weather fishing to come suddenly becomes as immediate as the stream bank pussywillows and the return of the geese and the crows. Heck, there was a robin singing from the top of a big white spruce up my street the other day. Sure there is some structure to the April 1 opening because that’s when most jurisdictions begin their license year. But for the fly fisher, the change is more compelling than just the legal compartmentalization of a government bureaucrat. It generally heralds the return of the bugs. Because without insects, traditionally there would be no “fly” in fly-fishing. Although in reality, fly-fishing generally means casting an artificial lure using the weight of the line rather than the mass of the bait to propel it. The word “fly” as many other terms used in this often complex and confusing method of catching fish has been corrupted to mean many things and species not associated with flying insects. So a “fly” can also imitate any number of bait fish. It can also represent the larval and nymph stages of insects which don’t “fly” but crawl around on rocks and steam bottom trash. There are flies that imitate mice and voles. 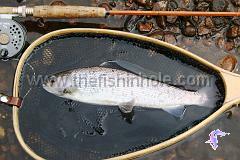 While in Mongolia they use gopher imitations to catch the monster trout-like taimen that swim in the rivers there. A fly can also imitate nothing. Particularly when angling for anadromous fish like salmon and steelhead which live a portion of their lives in the ocean and don’t feed when returning to their home rivers to spawn. Yet they will occasionally hit fancifully dressed flies or bizarre floating Bombers as long as your thumb, for reasons no one really knows for sure. So as you can imagine, getting started out in fly-fishing can present a pretty formidable learning curve if you let all the hocus pocus that we grizzled fly anglers love to revel in get to you. To ramp up your early season survival skills and generally demystify the casting of a fly for fish, the only way to go is to practice K.I.S.S. and tell fly angling. As in Keep It Simple, Stupid! Some fly anglers reckon they only have bragging rights if they have a dozen or more rods in the rack. Bull. You can have all the fun you need fly-fishing all year long for most species of fish with one simple outfit. A 5-weight rod, rigged with a floating line and a simple reel. A disc drag is optional but clearly not a pre-requisite. The same with an intermediate sink line. Useful, yes but not compulsory. Waders and wading boots can also add a level of comfort and safety to your day on the river. 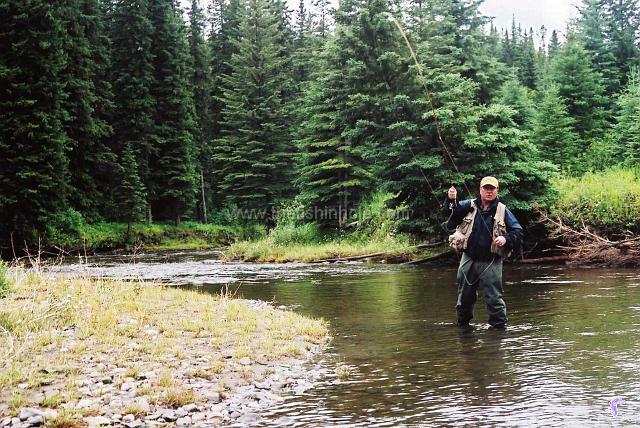 But don’t discount the pleasures of wading wet as I did during my fly-fishing formative years on west central Alberta’s legendary McLeod River. A leader tapered down to 4X and a spool of tippet material in the same diameter completes the set-up. A vest to store your tackle is a nice addition but pockets came along long before God invented fly-fishing vests. One of the formidable barriers to getting into fly angling that most rookies experience is trying to get a handle on the entomology. The bugs will drive you bats if you let them. Especially when you encounter selectively feeding trout on heavily pressured streams with blue ribbon reputations. When you have to show a steadily rising brown trout a size #20 Blue Winged Olive Emerger before the big boy will have anything to do with you, then probably this is not the time or place to study for your learner’s permit. They don’t send kids out to learn how to drive in NASCAR cars. Fly-fishing should be no different. The most stress-free way to become an entry level fly angler is to ignore all that match-the-hatch malarkey. There’s plenty of time father down the learning river to complicate life. Stick with flies that fall into the category fly-fishers call “attractors.” Flies that look like everything and nothing that floats down a trout stream or swims under the surface of a trout pond. Some dry fly varieties include patterns like Humpies, Variants, Wulffs, Stimulators and the redoubtable Royal Coachman. The Coachman, with its red and peacock body and white wing represents no known insect. Yet it can be a remarkably effective fish getter as I discovered on a recent trip to the Alberta’s Berland River north of Hinton. The Berland was a dazzle of conflicting atmospheric conditions that late summer day and I reckoned I’d need all the help I could seeing a fly on the water under that set of circumstances. So I tied on a Royal Stimulator for no other reason than the bleached elk hair wing gave it great visibility. Not only for me but the Berland’s Arctic grayling could see it as well and hammered it whenever I got the fly over some holding water. Even when a hatch of “real” mayflies came on the water the grayling preferred my Stimmie to the closer imitation of the hatching insects that I knotted on for a spell. Flies like Woolly Buggers in black, olive and brown plus generic nymph imitations like the Hare’s Ear or Pheasant Tail can also go a long way to unravel the mysteries of still water angling where a different suite of angler’s insects can further complicate and frustrate the training wheels fly angler. There are many waterbodies that come with bragging rights, where the fish are big but can also be very finicky, selective and generally hard to catch. As much as you’d like to carve a few blue ribbon notches on your gun, it’s probably best to avoid these rivers and creeks until you’re a better shot. Instead fish lesser known waters where the fly hatches may not be as prolific but at the same time, the lack of surface activity makes the trout and grayling less selective and more opportunistic. Where anything that floats over or through their feeding window is worth a bite. The chances are you will also have the place all to yourself. The big name waters tend to attract the crowds so if you mess up you won’t be doing it in front of a jury. 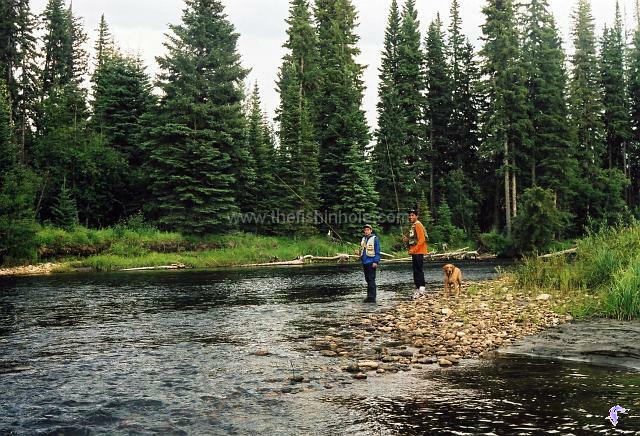 There’s also something idyllic and honest about little foothills trout streams and northern boreal grayling creeks where you can jump start that other part of the fly angling experience that has nothing to do with how many fish you catch or how big they are. Let’s face it, some fish are easier than others. Spring creek brown trout are usually acknowledged as some of the toughest fish to trick into taking a fly and the big boys who inhabit the undercuts and willow scours of Alberta’s iconic North Raven River are some of the wariest fish around. The willow-choked water meadows of the North Raven are not somewhere to cut your teeth on. But there are some species, while not totally stupid, that you can increase your success rate with. Cutthroat trout come willingly to the fly, particularly in summer when their high altitude rivers warm up. 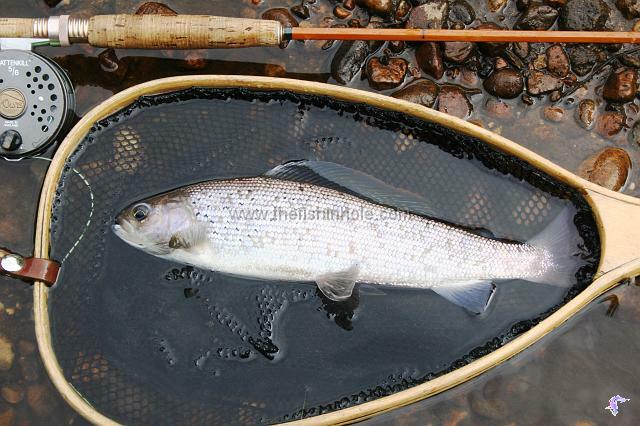 Arctic grayling are also forgiving and opportunistic feeders which will excuse a sloppy cast or a misplaced wading boot. Mountain white fish are not held in high regard by many fly anglers but they can also provide fine sport in almost all of Alberta’s mountain-born trout rivers. And don’t discount small pike – sometimes called “hammer handles” - as an excellent beginner’s fly-fishing species. 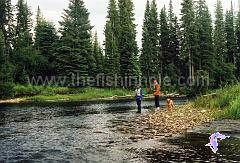 Coated steel wire shock tippets and long streamer flies are required. But an afternoon of hammering hammer handles on a 5-weight sure can be a lot of fun. Brook trout, which were stocked extensively but are now considered an undesirable “invasive”, are also a target species for rookie flyrodders, as are the hundreds of thousands of rainbow trout stocked annually in our pothole lakes. Hooking and landing a large, selectively-feeding trout after a long and complex stalk is often considered the ultimate in fly angling. But it can become pretty overwhelming. Not to mention frustrating. So why go there? At least for now. Opportunistic trout are usually far more willing than those rising to a specific bug. If you see a riser, fish to it. 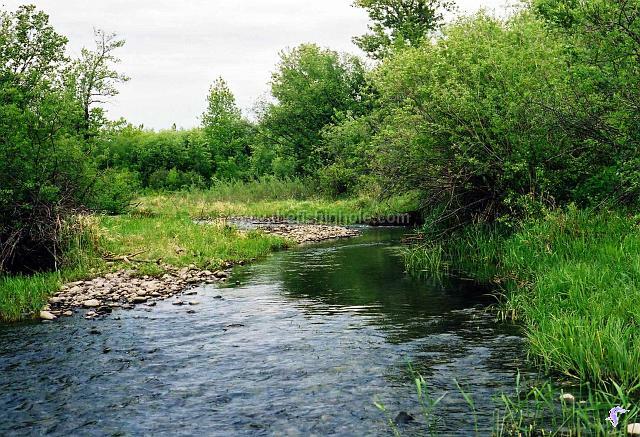 But searching the “likely” looking water such as pool heads, along undercut banks, current “seams” and pockets or slacks behind boulders or deadfall with an attractor dry fly is also effective. Dry fly fishing requires the fly to be dressed with a floatant and it’s well worth bringing along a vial of “shake and bake” desiccant to restore your waterlogged flies which will no longer float. “High sticking” a nymph pattern under a strike indicator is probably not the best way to get into fly fishing either - even though fish take on far more groceries sub surface than they do from above. But the old “down and around” wet fly method is not only simple but very effective. Where one or more nymphs (check your provincial regs for what’s legal) are tied in tandem on your leader and cast across the stream. The force of the current swings the line downstream, drawing the flies through the lies and often inducing a strike from a waiting trout, grayling or rocky. 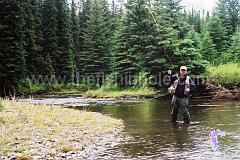 Begin at the head of a run and work all the way down the fishy water taking a step or two each cast. Angling with a flyrod is only as complicated as you want to make it. But for someone just getting started Keep It Simple, Stupid is the only way to go.